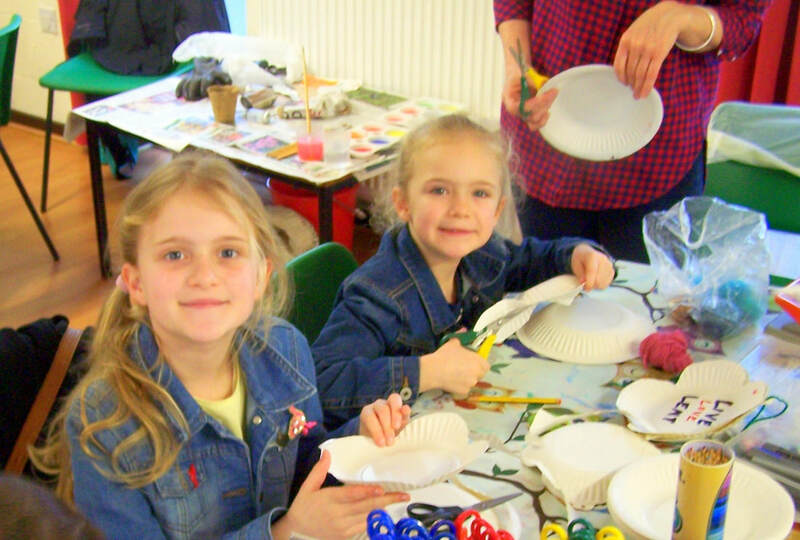 Messy Church at St Hildeburgh's Church Hoylake - St hildeburgh's parish church hoylake. 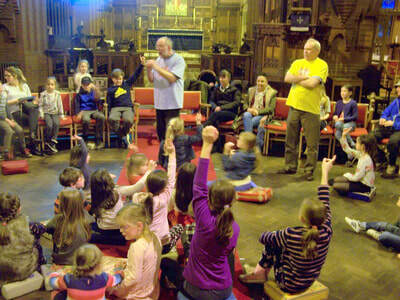 St hildeburgh's parish church hoylake. 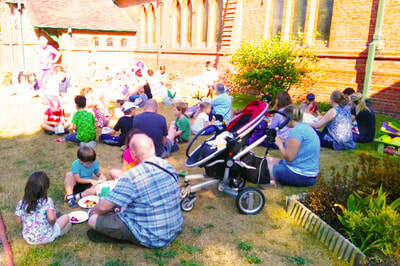 Our Easter ‘Messy Church’: Fun, Food, Sun and Worship! 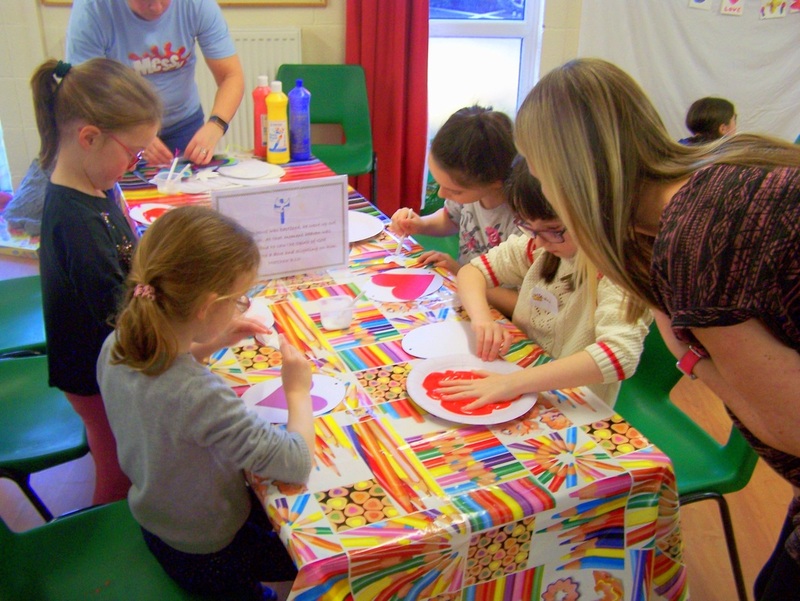 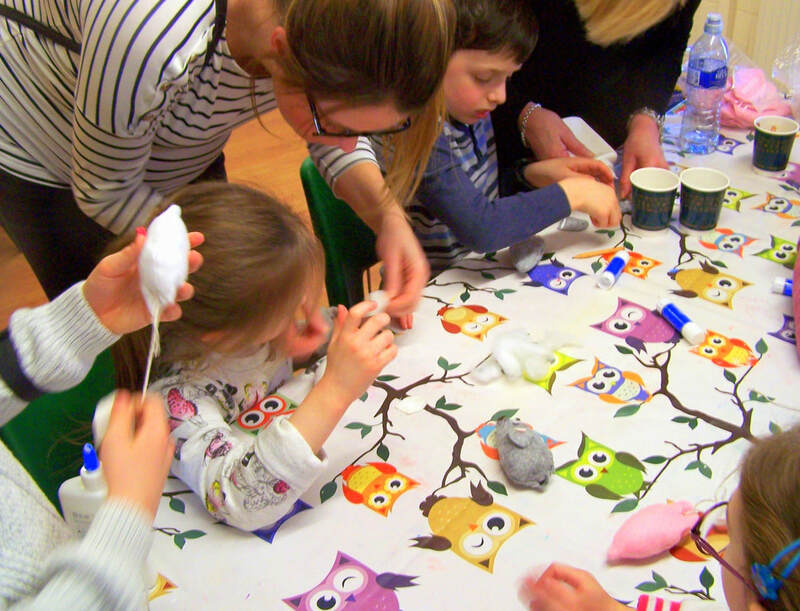 We had a fantastic Messy Church afternoon at St Hildeburgh’s on Easter Saturday - we felt truly blessed by the Lord. It was wonderful to welcome over eighty people with a good number of folk coming to St Hildeburgh’s for the very first time. 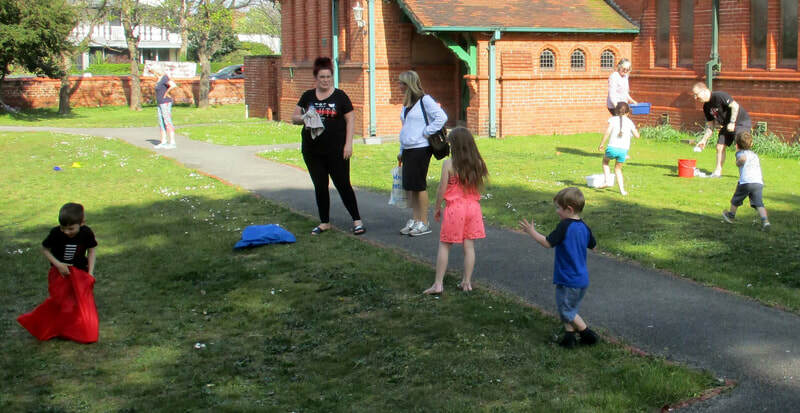 As usual, we began with games – some indoor, but with the sunny day we were blessed with, lots of fun was had outside also; with everything from games of skittles to sack races. Then there was a range of craft activities which we all took part in, all with the theme of Jesus and the Easter story. Next we all trooped into the church for a lively time of worship, led by Peter from our Ministry Team and our vicar, Rev Paul. Peter gave a fun talk, we learned a new Easter song, and Rev Paul led us in prayers. 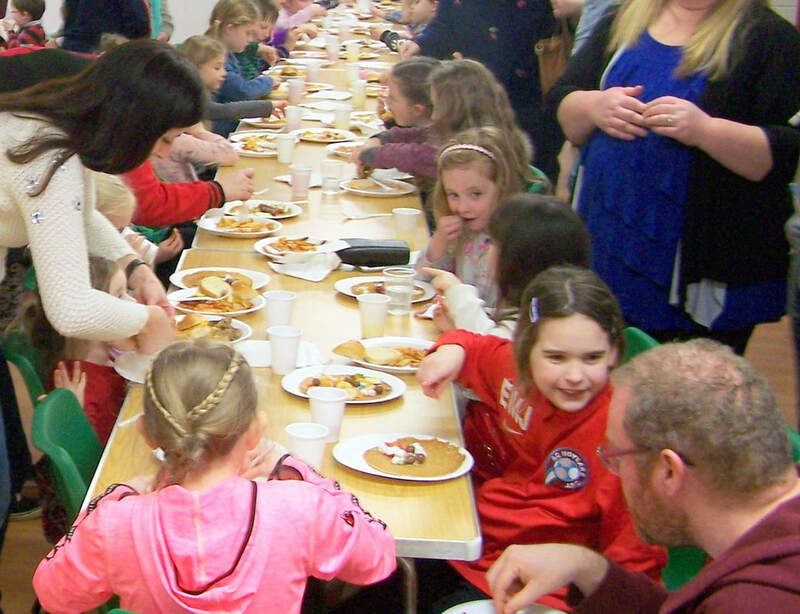 We rounded the afternoon off with a hot meal for all comers in our Church Centre of chicken nuggets, potato wedges … and of course, baked beans! 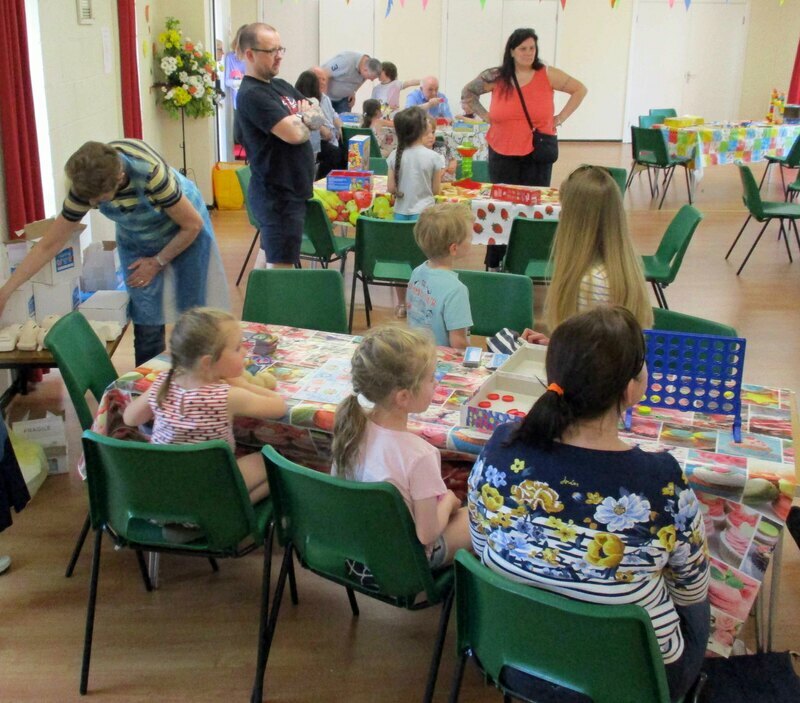 Thanks to all who came along to enjoy our time together and the many members of our church family who worked tirelessly as helpers. 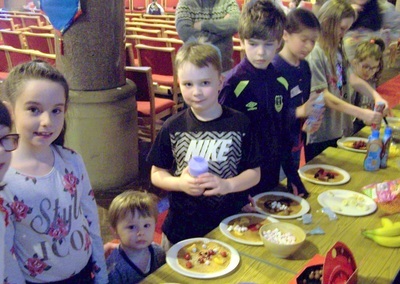 Why not come along to our NEXT ‘Messy Church’ afternoon? 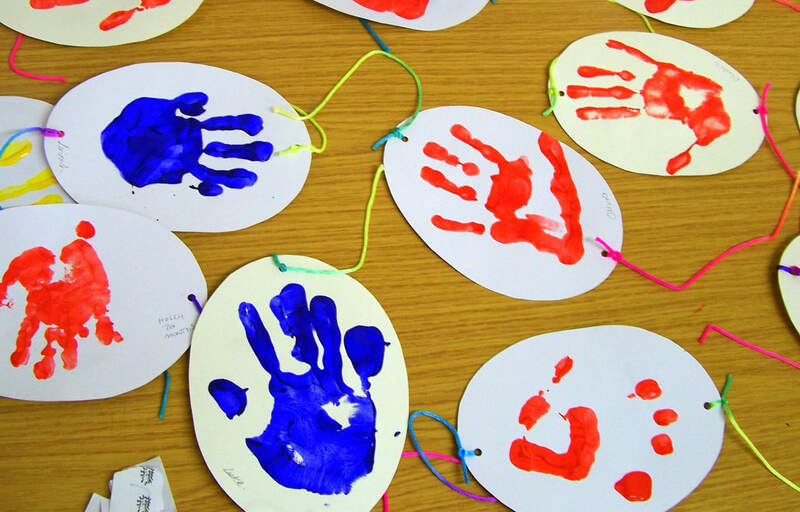 You would be very welcome! 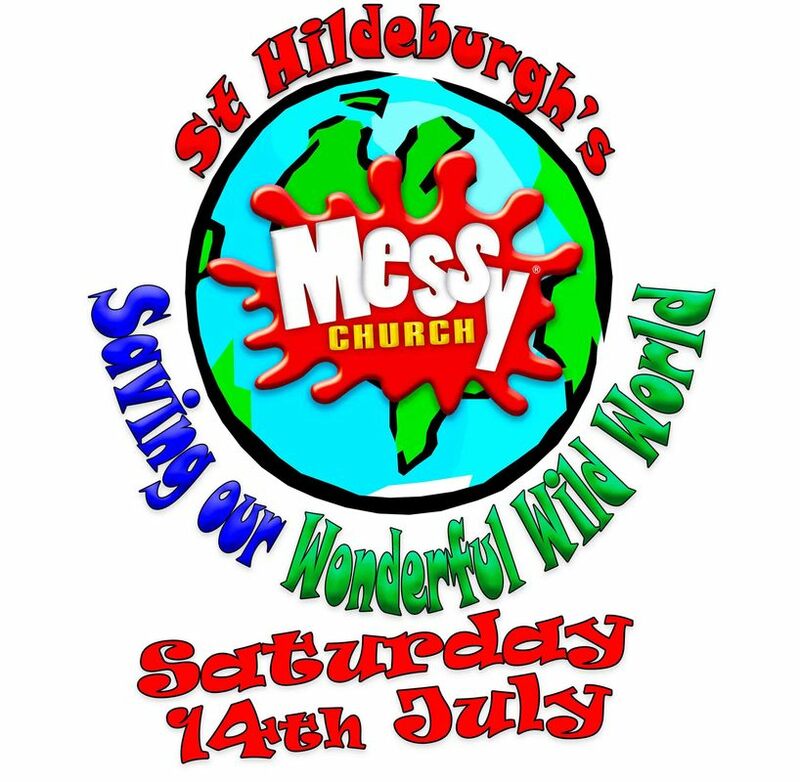 It’s on Saturday 13th July. Put the date in your diary! 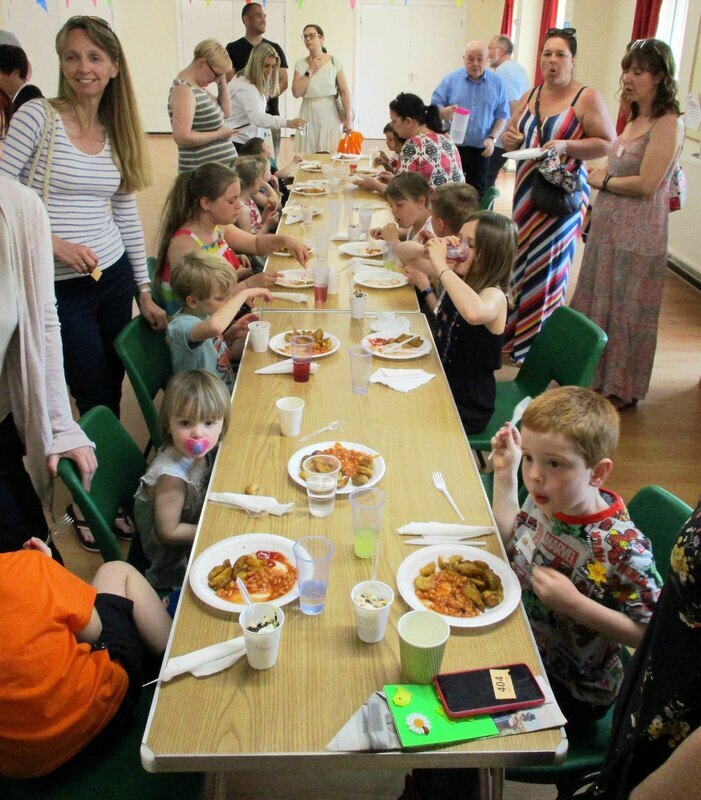 ​Our Harvest ‘Messy Church’ (13th October 2018), was a wonderful occasion – we felt really blessed. Fitting for the Harvest theme, we had a “bumper crop” of folk coming along – well over 120 people - with many coming along to St Hildeburgh’s for the very first time. 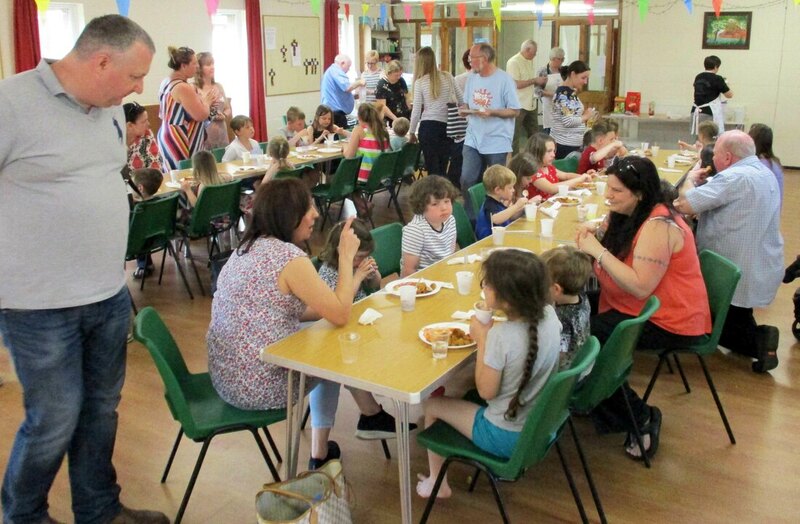 ​The afternoon was rounded off by a hot meal for all – young and older alike – of good old hot dogs, chips and beans – and those delicious ‘Messy Puds’! 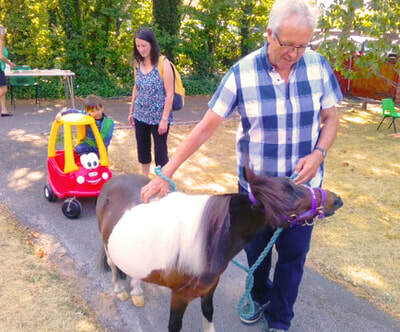 It was great to welcome a good crowd of folk of ALL ages, as we met up in our church grounds for July's "Messy Church" at St Hildeburgh’s : Children, grannies, grandads, carers, parents, aunties, uncles … and even "BRONTE" the pony! 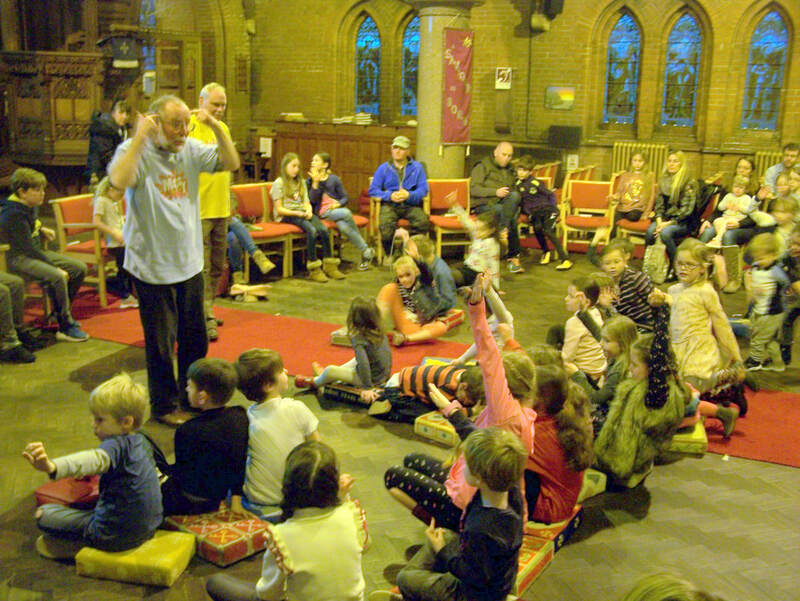 It was wonderful to welcome a number of people joining us for the first time at St Hildeburgh’s: Welcome to Jesus’s family in Hoylake!! 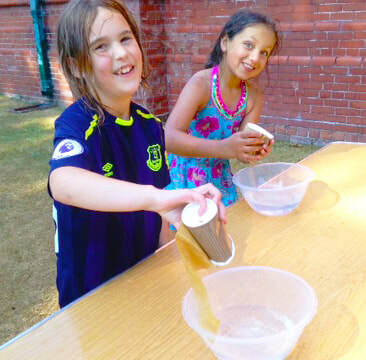 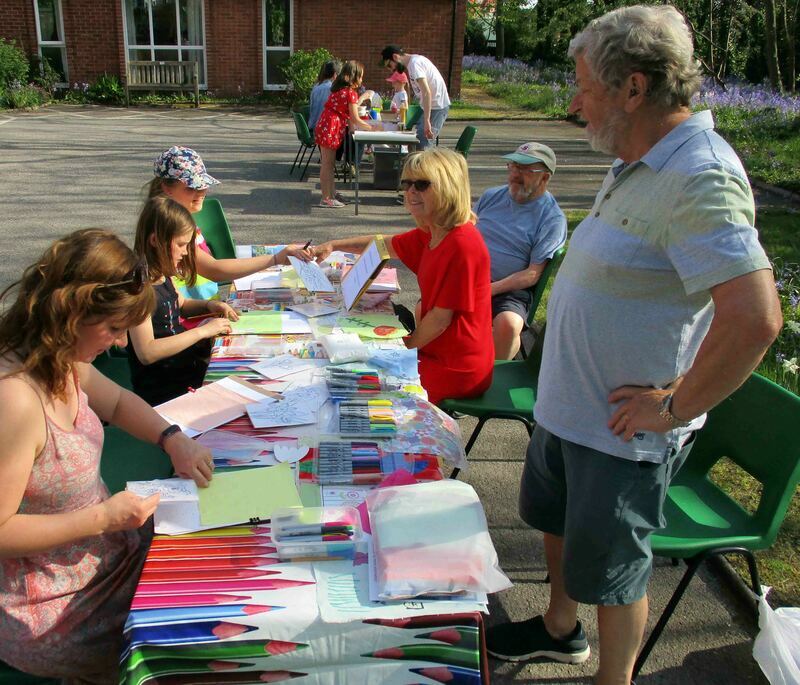 We had decided to hold this Messy Church afternoon in our church grounds - to make the most of the sunny weather we had been having. 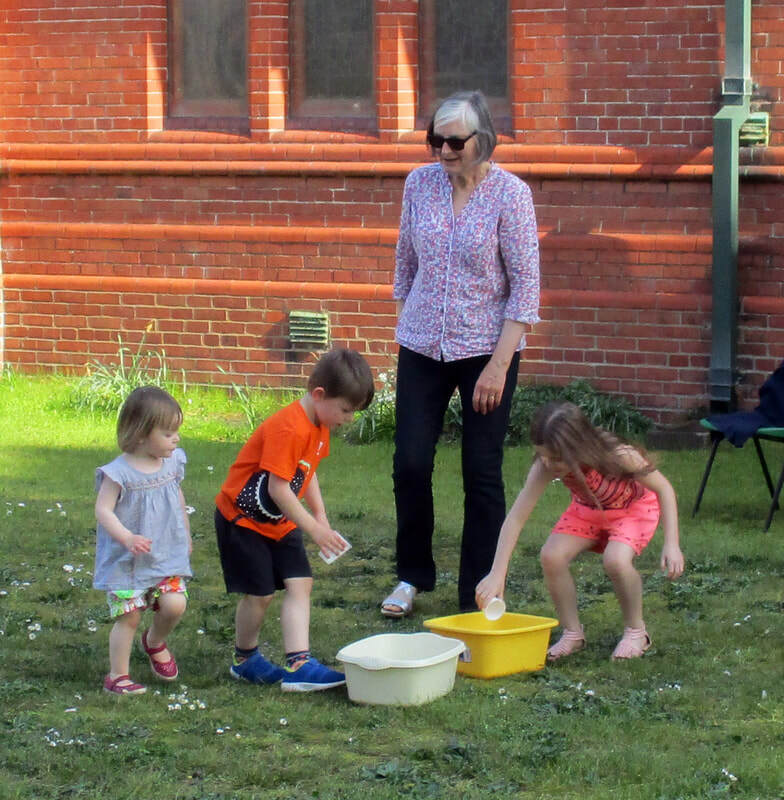 The theme for the day was “Saving God’s Wonderful World” and outdoor activities included: “Bug spotting”, water games, nest building, competitions, bird spotting … and more! 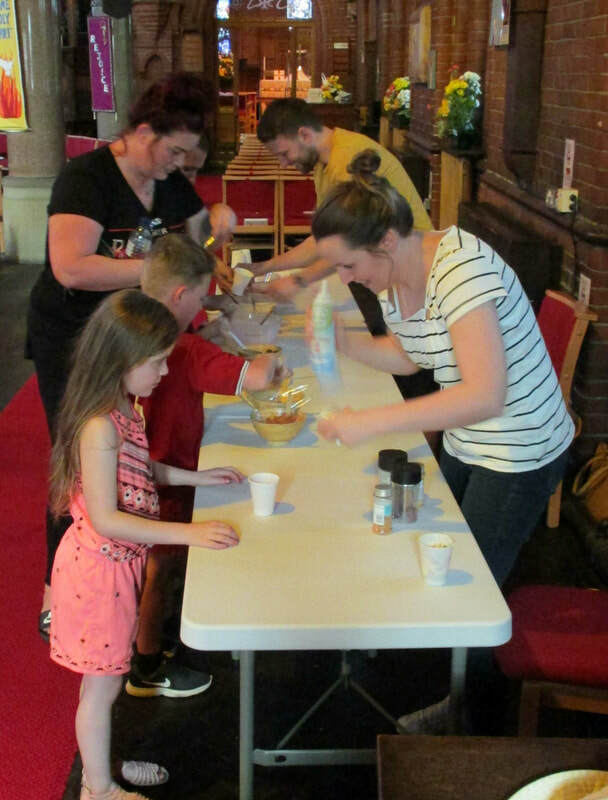 On Saturday 5th May (2018), it was wonderful to have another, well-attended “Messy Church” afternoon at St Hildeburgh’s. 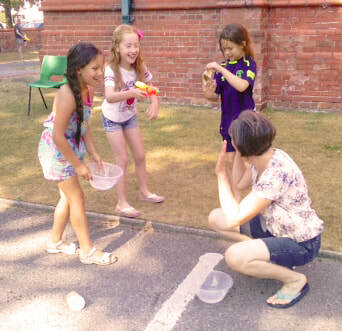 It was a gloriously sunny day and the afternoon started at 4.00pm with games for the youngsters in our Church Centre. This was followed by thought-provoking, craft activities, linked to the theme we had chosen for the day of “Pentecost”. 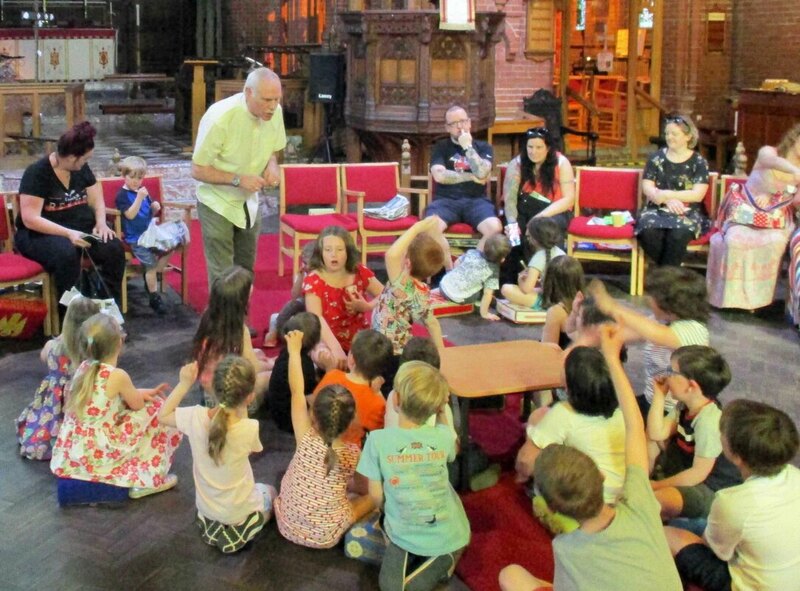 On the day of Pentecost, two thousand years ago, God sent his Holy Spirit upon Jesus’s followers, and they went out to spread the “Good News” of Jesus Christ – in many ways, it’s the Church’s “Birthday”. 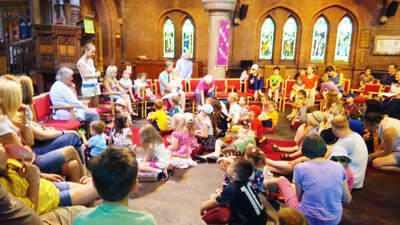 So our Messy Church afternoon was very much a day of real celebration. After our craft activities, we went into the church for a short time of worship, with lively songs which we all really enjoyed. We then trooped back into the Church Centre where everyone sat down for a hot meal together. 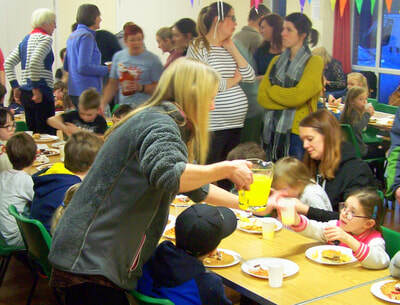 Many and sincere thanks go to all the members of our church family who worked so hard to make the day such a success. 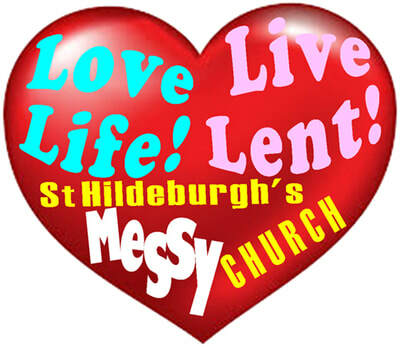 We believe that God calls us to be a loving community, inspired by the Holy Spirit, founded in worship and prayer, proclaiming Jesus Christ in word and deed"
St Hildeburgh’s Parish Church takes its duty and obligation to protect all extremely seriously. 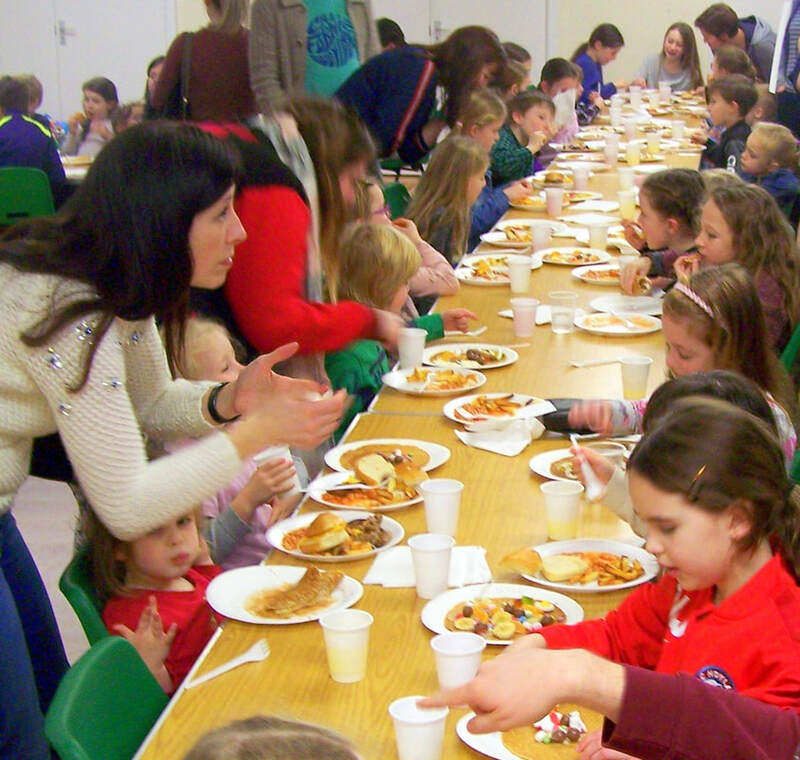 We have adopted the national Church of England's robust procedures and guidelines. You can find out more about the national policies and procedures at www.churchofengland.org/safeguarding.